My patient sat across from me quietly and clutched her hands. I followed her eyes, watching them scan the floor and occasionally float up to make contact with mine. I pushed the heaviness into my chest and exhaled slowly. I told her there wasn’t anything to be sorry for, but she nodded slowly in quiet disagreement. Her previous primary care doctor had taught her she could discuss at most two issues at each visit. 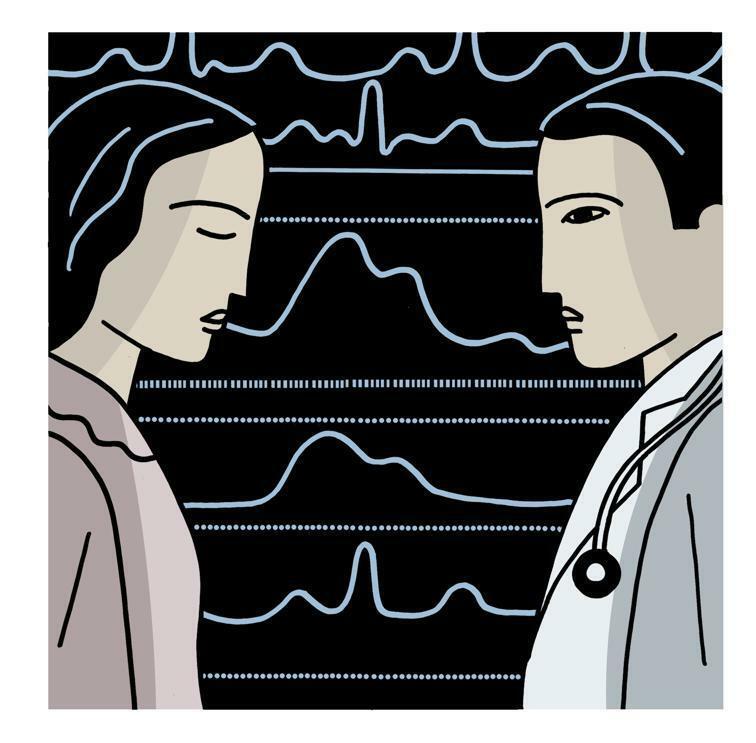 This was the rule everyone would eventually have to follow, he told her, the “way primary care was going.” In response, she learned to raise only certain concerns, a process that increasingly included ones that her doctor wanted to discuss. Some issues — her brother’s repeated suicide attempts, the pressure of her role as caretaker of ill siblings, her fight against the rampant alcoholism in her family — went largely unaddressed, while others — cholesterol, blood pressure, tobacco use — were targeted repeatedly. But after a year of continued smoking and poorly controlled blood pressure, it was her doctor who called it quits. Numbers are indeed important. Our increasingly interconnected societies and sophisticated technologies generate massive amounts of data. The management and analysis of all this information has revolutionized business, politics, science, public health, and social research. As momentum builds, those of us in clinical medicine now find “big data” knocking on our doors, promising to revolutionize our profession as well. More and more hospitals are using data to monitor physician performance and pay them based on these measurements (for example, whether MDs order appropriate screening tests, how well patients’ hypertension or diabetes is controlled, how frequently patients are be readmitted to hospitals). This approach has been around for some time, and its basis is straightforward: Everyone desires high value care — high quality services delivered at low costs — and it makes sense to reward doctors who achieve this and penalize those who do not. The difference now is that with large amounts of specific data, hospitals can track doctors more comprehensively and quickly than ever before. Proverbial carrots and sticks can be offered to nudge doctors toward desired performance cut-offs. Big data is helping us make gains in quality. It should not, however, become our philosophy along the way. As a physician training in this new era of quality, value, and big data, I know that these concepts are important. But as a primary care clinician, I also know that doctors must frequently negotiate health from the messy complexities of their patients’ lives. As a tool, big data has undoubted promise for improving health care. But no matter how sophisticated our approaches become, doctors and patients must still come together to make decisions laced with uncertainty. Achieving a set of numbers — cholesterol levels, blood pressure measurements, glucose values — cannot be the ultimate goal for all patients in all situations. There are aspects of the human experience that are hard to account (or “risk-adjust”) for. And there will always be outlying, intangible qualities that mark good doctors and good care. Those intangibles matter. Because ultimately, the rituals of doctoring — of affirming suffering and showing support in word, posture, and attitude; of active listening; of offering personal opinions when probabilities are too cold and sterile — are still needed. It would be a shame for caring clinicians to avoid complex, high-need patients in order to make performance cutoffs. It would be unfortunate for them to bypass human connections to meet quality measures. It would be a great sadness (and irony) to compromise quality of interaction in the name of quality measurement. To prevent this in my own work, I’ve adopted practices to maximize quality time with patients, utilizing technology to increase efficiency and team-based strategies to share administrative responsibilities with other team members. Most importantly, however, I’ve tried to remind myself that there are times when my patients need something other than guideline-based care, something more than data and better than quality as it’s currently measured. She needed someone who — in knowing the anguish of a suffering loved one and stress of broken relationships — could affirm her situation through silence and restraint, not just through word or advice; someone who appreciated that improvement in her numbers might come through first setting them aside. So that day, against well-taught and deeply ingrained urges, I didn’t press her on many of her health issues. I put away educational materials and deferred medication changes. Instead, I asked a few questions and released the moment, learning about her life and absorbing the tempo of her words and glances. We agreed on close follow-up and social work support. Later that night, I imagined what quality or big data analysis would’ve concluded about our encounter. I wondered what, if anything, the state of our science had to say about the indispensable art of our work. What I was sure of, however, was the quality of the connection created in that exam room: one forged by two people in near silence, both pressed by external pressures but compelled to pursue other ways; neither sure exactly what to do but both willing to try; two people trying their best to navigate difficult circumstances, and neither having anything to be sorry for. Joshua Liao is a resident physician in the Department of Medicine at Brigham and Women’s Hospital and a clinical fellow in medicine at Harvard Medical School. Follow him on Twitter @JoshuaLiaoMD.